The California Chartered Tax Professional Online Certificate Program will help you become qualified as a California Tax Preparer through the California Tax Education Council (CTEC). The California Chartered Tax Professional Certificate Program is composed of six modules in Federal income tax preparation, plus a California supplement. After successfully completing the first two Federal programs and the California lessons in the California CTP Certificate Program, you'll be qualified to prepare individual tax returns for almost all U.S. and California taxpayers. This online certificate program is offered in partnership with major colleges, universities, and other accredited education providers. Notice: If you do NOT live in California, you aren't required to take this California version of the CTP program. If you don't need to or don't wish to learn California tax preparation, you should take our regular Chartered Tax Professional Online Training Program instead of the California version of the program. The California Chartered Tax Professional (CTP) Certificate Program is composed of six modules in Federal income tax preparation, plus a California supplement. After successfully completing the first two Federal modules and the California lessons (most students finish in just 10 weeks or less), you'll be qualified to prepare individual tax returns for almost all U.S. taxpayers. While you apply what you've learned and earn money as a California tax preparer, you'll continue your studies in advanced individual tax preparation, which will enable you to serve clients with more complex tax situations and increase your earning potential. Next you'll learn to prepare returns for small business corporations and partnerships and more complex sole proprietorships. As you complete the modules of the CTP program, you can accumulate the required 500 hours of experience as a tax professional to qualify for the prestigious Chartered Tax Professional designation. There is a shortage of qualified tax preparers and a great demand for seasonal tax preparers. Alternatively, you can become self-employed as a tax professional. Upon successful completion of the program, you'll receive a certificate of completion from the college or university you registered with, in addition to a very impressive CTP certificate, which you'll earn when you meet the final experience requirements. As a CTP, you'll also have the tax knowledge and experience to prepare for the IRS Enrolled Agent (EA) exam if you wish to add the coveted EA credential to your professional designation as a CTP. Each module consists of 10 three-hour lessons and can be completed in five to ten weeks (one or two lessons per week). The entire program could be completed in less than eight months, but many students will take 18-24 months, during which time they'll also gain experience and earn money as tax professionals. If you're a CPA, CFP, attorney, or if you hold some other professional license, you may be able to satisfy some or all of your continuing education requirements through your program work in the CTP program. Income tax knowledge is valuable to many professionals because financial decisions usually involve tax consequences for their clients. Providing tax preparation services is also a great way to diversify and recruit new financial services clients. 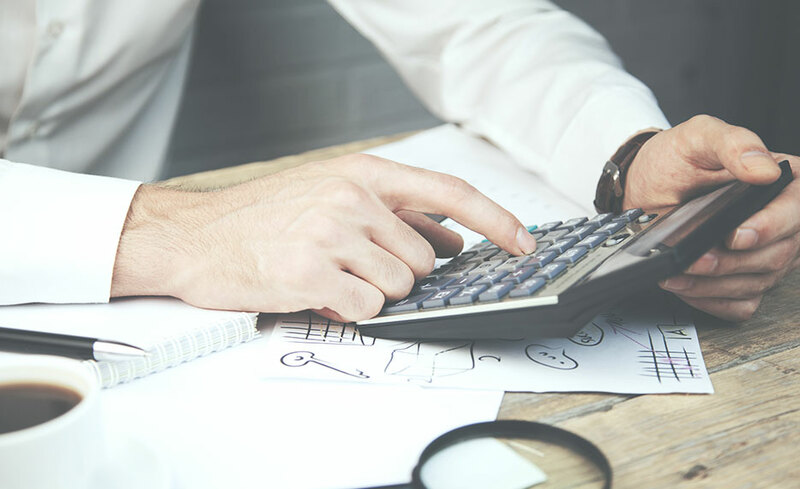 After completing this comprehensive certificate program, you'll be well prepared to handle almost any individual and small business income tax situation you encounter. You'll also be ready to take the next step in your career as a tax professional by preparing for and taking the IRS Enrolled Agent (EA) exam. The EA designation is the most significant credential in the income tax preparation industry, even more relevant than the CPA designation. The California Tax Education Council (CTEC) was established by the California State Legislature to promote competent tax preparation within the State of California. CTEC is a California non-profit corporation founded under the legislative authority included in the California Business & Professions Code 22250-22259. Tax return preparers who wish to prepare returns for a fee must become registered through CTEC. Attorneys, CPAs, and Enrolled Agents are already licensed; therefore, they aren't required to be registered through CTEC. 1. Complete a 60-hour qualifying education (QE) program from a CTEC-approved provider. 2. Purchase a $5,000 tax preparer bond from a surety bond company. 3. Complete and submit a CTEC New Provider Application by mail, or register online at www.ctec.org. The CTEC registration fee is $25. More information is available at www.ctec.org, or by contacting CTEC at 1-877-850-2832 1-877-850-2832 FREE, or e-mailing info@ctec.org. Instructor support is provided through e-mail by experienced practicing tax professionals employed by Peoples Income Tax, Inc., of which The Income Tax School, founded in 1990, is a division. Peoples operates multiple tax offices in central Virginia and licenses income tax school systems and tax practice management manuals to independent tax firms nationwide. The school is certified by the State Council of Higher Education of Virginia (SCHEV) and all instructors meet SCHEV requirements. The school's founder and CEO, Charles E. McCabe, a 40-year veteran tax industry executive, has managed hundreds of tax preparation offices. Mr. McCabe has a B.S. degree from Adelphi University and an Executive M.B.A. degree and A.B.D. from Pace University. He is a national speaker, teacher, and author on income tax and tax practice management. Mr. McCabe is also Founding Chairman of the National Alliance of Tax Business Owners (www.natbo.net). He serves on the Virginia Career College Advisory Board of the State Council of Higher Education for Virginia (SCHEV) and the Dean's Advisory Council of the School of Continuing Studies of the University of Richmond. HOW UP-TO-DATE IS THIS COURSE? Starting August 1, 2018 — June 30th, 2019 - all references in the COMPREHENSIVE course- CA edition are to the Internal Revenue Code, forms and publications, as amended through December 31, 2017. Also, unless otherwise stated, all questions relate to the calendar year 2017. Questions that contain the term ‘current tax year’ refers to the calendar year 2017. In answering questions, you should not take into account any changes as a result of the Tax Cuts and Jobs Act of 2017 or any legislation or court decisions after December 31, 2017. This mirrors the federal content covered for the IRS SEE exam for Enrolled Agents during the same period. The Income Tax School is addressing the changes though-out the COMPREHENSIVE course student material by chapter by marking TCJA near items that are affected and offering a free ungraded tax law update. I JUST REGISTERED YESTERDAY AND GOT MY USER ID AND PASSWORD TODAY. I'M EXCITED TO GET STARTED BUT WAS WONDERING IF YOU RECOMMEND I WAIT FOR MY BOOK? You can if you want to; however, everything you need is available online. The book is a great tool to have while taking the course so you don’t have to print everything out. It’s also a great reference after you finish the course. Feel free to start your course now and just download anything you need until your book comes. It should only be a few days. Yes. This California version of our CTP course includes the curriculum approved by the California Tax Education Council (CTEC) for qualifying education required for tax preparers to become licenses to practice in California. This California CTP course is approved by CTEC as a qualifying course for California. There are additional requirements to become a tax preparer in California. Please visit CTEC Web site for more information. Yes. You must successfully complete each section with a score of 70% or better before you're able to move on to the next one. The Income Tax School is certified by the State Council of Higher Education for Virginia (SCHEV) as a private career school and is subject to the same standards as Virginia colleges governed by SCHEV. We are also a sponsor of the National Association of State Boards of Accountancy (NASBA) to provide CPE for CPAs. We’re approved by the Office of Professional Responsibility at the Internal Revenue Services as provider of qualifying continuing education for IRS Registration Tax Return Preparers (RTRPs) and Enrolled Agents (EAs). This approval does not extent to licensees of The Income Tax School. We’re approved by the Oregon Board of Tax Service Examiners. The Income Tax School’s programs were developed initially 19 years ago to recruit and train tax prepares for our multi-office practice in Virginia. Our curriculum is written and updated annually be experienced practicing tax professionals. All of the Income Tax School’s programs are provided online in an interactive format with instructor support by e-mail rather than by traditional home-study correspondence. 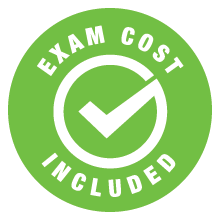 We provide learning objectives, lesson quizzes with instructional feedback, and auto-graded exams. Although all of the student textbook content is online, we also provide a hard copy of the student text for convenience and future reference at no additional charge. Our programs are high-quality and are designed to provide students with the knowledge necessary to prepare tax returns professionally.